Halloween will never lose its relevance and gives players an excellent opportunity to try on beautiful and at the same time creepy skins. The whole skin pack consists of 8 skins, but they are far from ordinary, more precisely they are not those skins you are used to seeing. Each model has a 3D texture that stands out strongly during the game. For example, you can try headless horseman or become a death. Remember that the ability to install 3D skins with the changed parameters will be disabled very soon, probably in the next update - Minecraft PE 1.2.6. 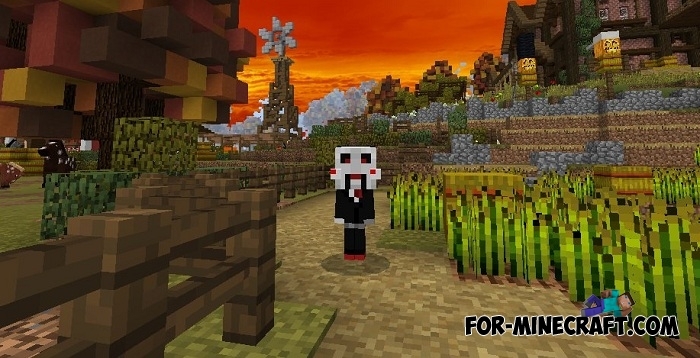 How to install the Halloween skin pack? 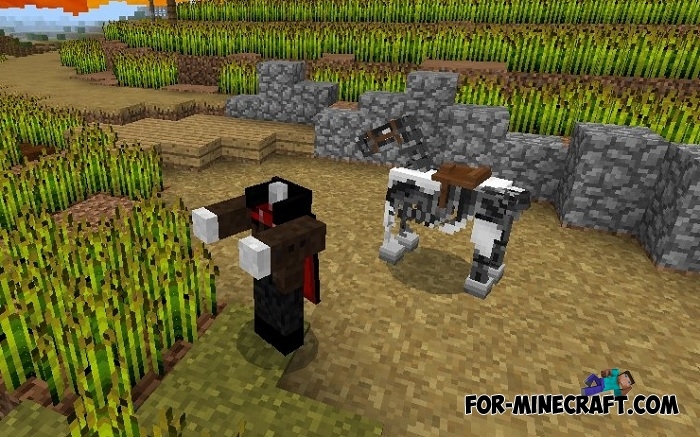 Baby Armor Stands addon (Minecraft PE 1.2)They are very useful provided that you have many different armor sets and to not ..
Dropper IB Halloween map for Minecraft PE 0.15/0.16.0Dropper IB Halloween is a wonderful map for MCPE 0.16 which includes the passage of any obstacles falling from a height! Как скачать я не поему!!!!! !